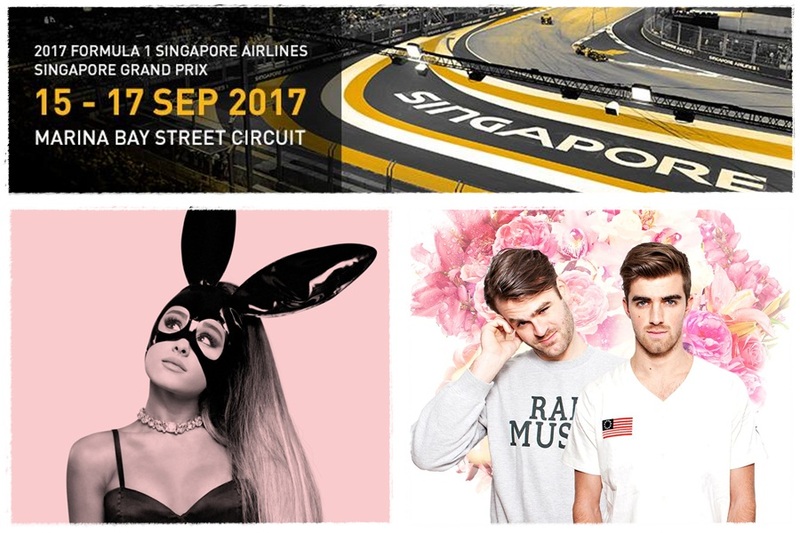 Time to warm-up your engines as the Singapore’s Grand Prix season is just around the corner, and to make things even more interesting, several award-winning international acts have been announced for the concert line-up of the highly-anticipated racing event! The headliners for the tenth edition of the night race include young diva Ariana Grande, “Selfie” duo The Chainsmokers, pop rock outfit One Republic, 70s icon Duran Duran, London rapper George the Poet, singer-songwriter Lianne La Havas , and multi-platinum selling artiste Seal. 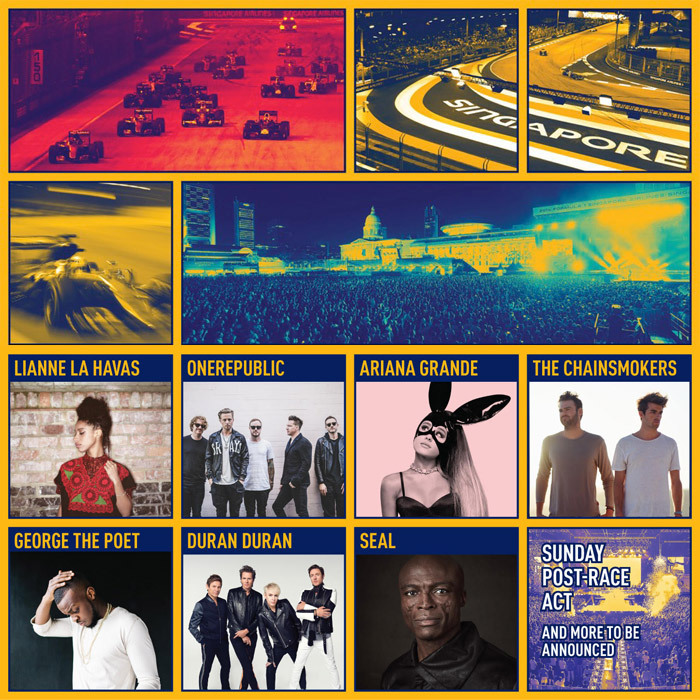 Aside from Duran Duran and One Republic, this will be the first time that these artistes will perform in Singapore. More acts, including the Sunday post-race headlining act, will be announced in the coming weeks. Last year, Kylie Minogue, Queen, Adam Lambert, Bastille and Halsey performed at the prestigious race. 2017 Formula 1 Singapore Airlines Singapore Grand Prix is set to take place at the Marina Bay Street Circuit from 15 to 17 September 2017. The ticket price starts from SGD38 and is available on singaporegp.sg.